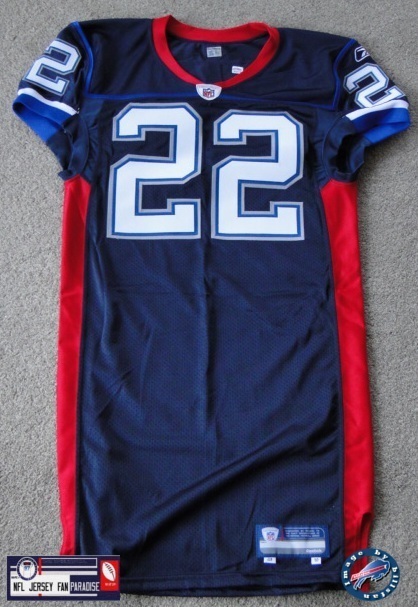 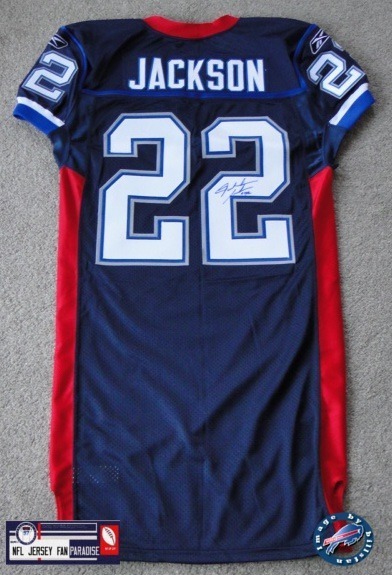 Obtained from NFLauction.com, this autographed Bills jersey is signed by running back, Fred Jackson. 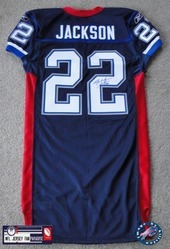 Jackson, from Coe college, broke the 1000 yard rushing in a season in 2009 and just missed a repeat in 2010 with 927. 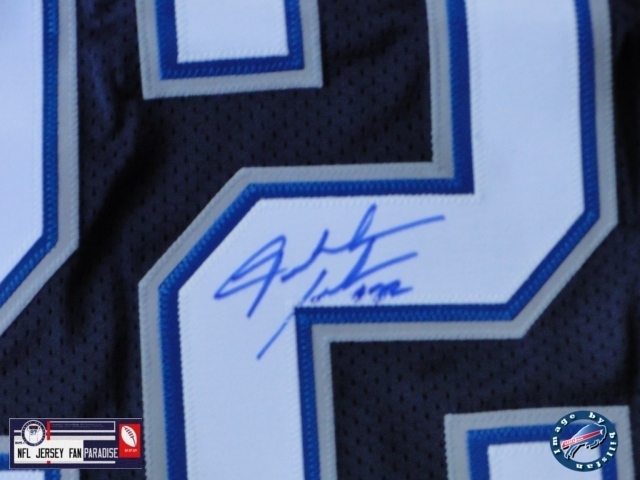 He finished the 2010 season with 5 rushing TD's and 2 TD's receiving. 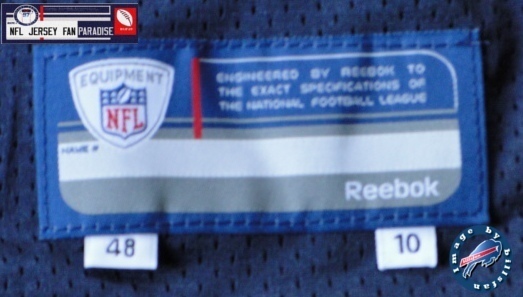 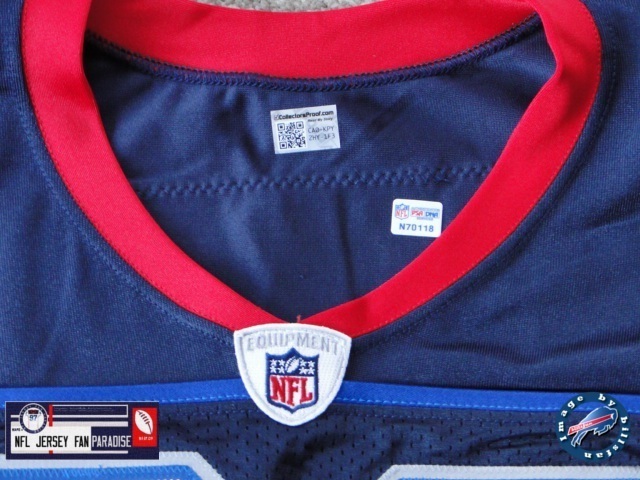 The jersey was described by NFLauction.com as an authentic, but it's got all the hallmarks of a team issued jersey, skill cut and Reebok patches on the sleeves instead of embroidered.